chapters in life. 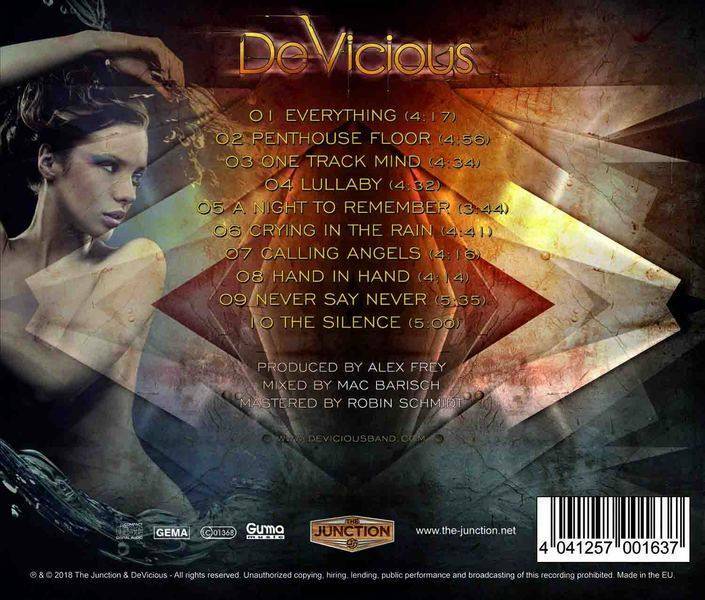 The lyrics and the band's character are perfectly summed up in DeVicious' debut album Never Say Never. 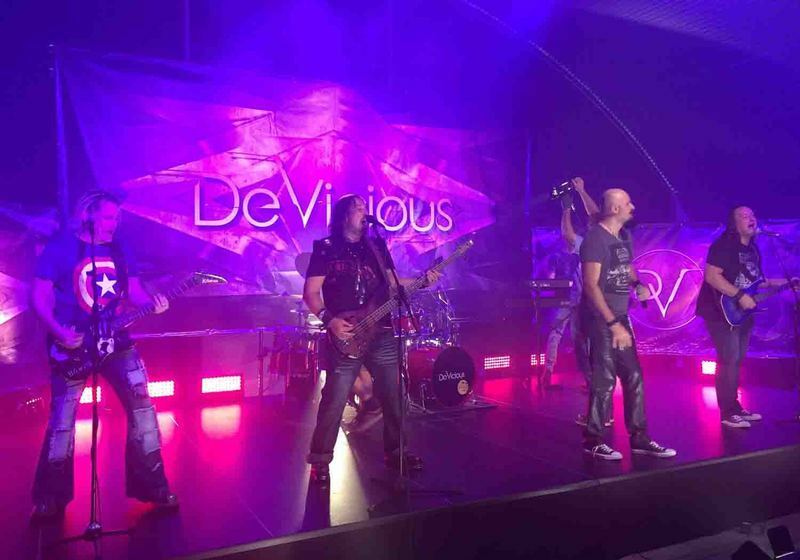 Tomorrow March 16 - 2018 is the release date for "Never Say Never", the debut album by German-based rockers DEVICIOUS. 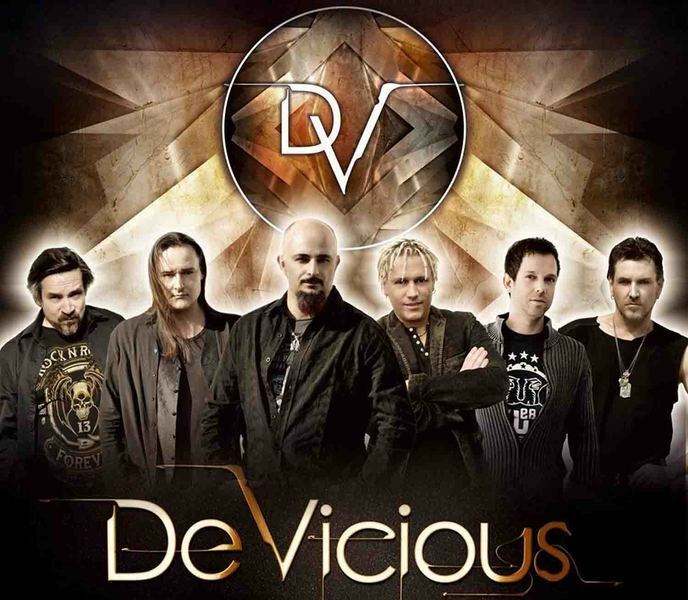 The group was formed by ex members of the Andi Deris Band, Castaway, and others, and it's a true late '80s inspired melodic (hard) rock album with a refreshing songwriting.From the start with 'Everything', DeVicious showcase their credentials: midtempo Melodic Rock / AOR with a certain Scandinavian sound, yet mixed with a British feel, smooth lead vocals, sharp guitar riffs, keys / synths cleverly placed and very, very well arranged harmony vocals / chorus.Next 'Penthouse Floor' is much more AOR something similar to the last works from LIONVILLE or WILD ROSE. Delicious stuff, again with great taste in the arrangements.I can see why DeVicious were chosen to support HARDLINE, AMMUNITION and XTASY upcoming shows. 'One Track Mind' bring to mind the sadly disbanded DIAMOND DAWN, it's modern melodic rock with punch but always with an eye put into the classic sound of the genre. 'Lullaby' arrives with some dreamy keyboards accompanied by the precious phrasing of lead singer Mister Sanders (a real find), developing into a solid melody which carries this slow (not a ballad) tune.The proper album ballad comes with 'A Night to Remember' including pianos and some acoustic guitar, where Sanders' vocals turn more raspy, sensual, in a JON BON JOVI type of register. Strong song, reminiscent as well of Italians WHEELS OF FIRE. 'Crying in the Rain' is a slightly 'by numbers' melodic rock, but even here the band never bore you. There's a flashy guitar solo in the vein of WHITE WIDDOW. 'Calling Angels' and 'Hand in Hand' are both solid rockers, especially the latter with its multi-part vocal arrangements, while title track 'Never Say Never' changes the focus a little. It's the heaviest track on the CD, a hard rocker with an AXEL RUDI PELL feel to it, and call me nuts, but Sanders sings here in a RONNIE JAMES DIO style. A homage? Anyway, it works greatly and it's a welcomed variation to the album.The band close the record with a superb piano-based ballad titled 'The Silence'. It's the kind of song where the vocalist needs to be more than skilled, and Sanders delivers. 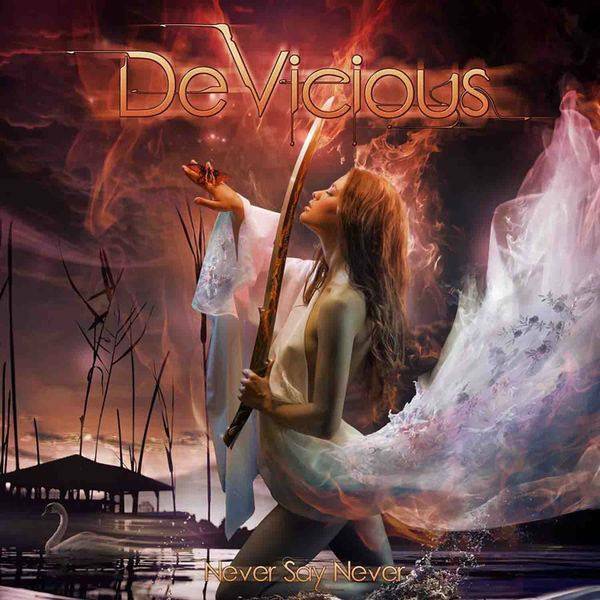 Crystal clear performance in perfect pitch.Out of nowhere, DEVICIOUS 'Never Say Never' is one of the surprises this year.It's all about classic Melodic Rock / AOR, but with a refreshing spin. All over the record you can hear the years of experience from these guys, and their timeless classic rock / hard rock influences.Very well produced & mixed, 'Never Say Never' will please a wide audience, even those who needs more 'substance' than the average Melodic Rock formula.